New York (Reuters) - Hedge fund Paulson & Co has amassed a large stake in Allergan Inc (AGN.N) of more than 6 million shares and supports a deal between the Botox maker and Valeant Pharmaceuticals Inc (VRX.TO), people familiar with the matter said on Wednesday. The position is expected to make the prominent U.S. hedge fund, led by John Paulson, one of the top 10 to 15 holders of Allergan, according to Thomson Reuters shareholder data as of March 31. Paulson's new position in Allergan could give Valeant a boost, as the company tries to drum up support from at least 25 percent of Allergan shareholders so that it can call a special meeting. Valeant and its ally, Bill Ackman's Pershing Square Capital Management, are seeking to call a meeting to elect new directors to Allergan's board, which could pave the way for a takeover of the company. Allergan shares closed up 2.3 percent on Wednesday at $169.07, while Valeant shares closed up 4.5 percent at $125.94, both on the New York Stock Exchange. Valeant has taken its offer directly to Allergan shareholders after Allergan rejected its latest $53 billion takeover bid, comprised of $72 in cash and 0.83 share of Valeant stock per Allergan share. 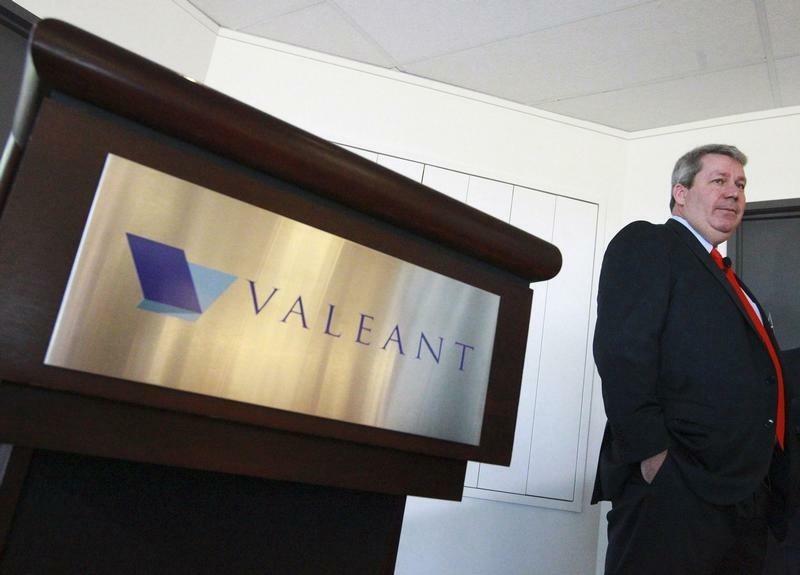 Valeant last week began an exchange offer for the Irvine, California-based company. Allergan advised investors on Monday not to accept Valeant's offer, which it characterized as "grossly inadequate." Valeant, Allergan and Paulson declined to comment. Other large Allergan shareholders - including T.Rowe Price, ranked as the ninth largest holder as of March 31 - are pushing for a deal with Valeant, people familiar with the matter said. T.Rowe Price has a larger position in Valeant, and ranks as the company's fourth largest shareholder, according to Thomson Reuters data as of March 31. A spokesperson for T. Rowe could not immediately be reached for comment. But some Allergan shareholders believe the company should remain stand-alone, based on the value of the current Valeant offer, said Dan Davidowitz, a portfolio manager at Polen Capital Management LLC in Boca Raton, Florida, which is a top 20 Allergan holder. Valeant CEO Michael Pearson said he believes he has support from the majority of Allergan shareholders for the deal. "We are confident that shareholders will strongly support our deal in a vote," he said during an interview with Reuters on Tuesday. Ackman has been trying to encourage Allergan shareholders to consider a deal with Valeant. He has gauged interest from some large holders about whether they would consider accepting a larger proportion of Valeant stock in a show of support for the company's Allergan bid, people said this week. The move, if successful, would free up more cash for other shareholders who have expressed some concern about accepting Valeant stock for their Allergan shares. It would also demonstrate that bigger investors are committed to doing a deal, despite Allergan's steady criticism of Valeant's acquisition-based business model. Pershing Square, Allergan's biggest shareholder, agreed last month to take only Valeant stock in exchange for its Allergan shares.